The LMP1 class at Le Mans has seen a huge resurgence with Porsche, Toyota, and Audi competing. Nissan is joining them in 2015. And if reports are to be believed, a prancing horse might join the fray in the near future. Helllllllz yeah. 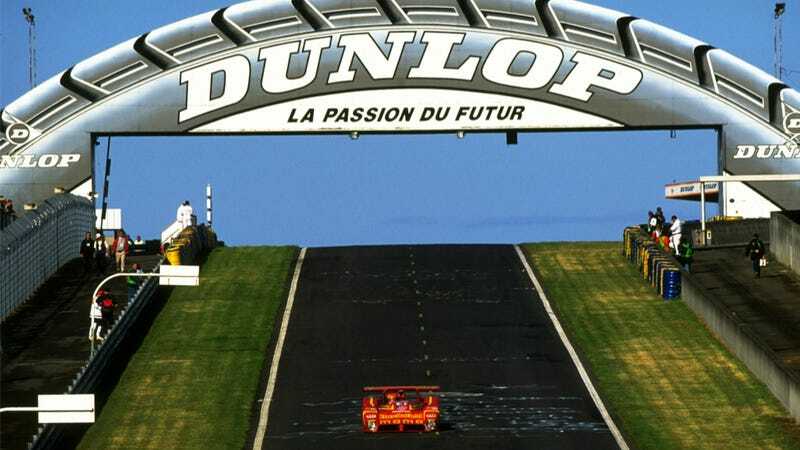 Rumors out of the lead up to Le Mans say Ferrari's announcement of a factory return to Le Mans is imminent and could come as soon as Saturday morning. Sportscar365 says that the announcement will come on Saturday but there are no details, other than a belief that it involves a future involvement in prototype racing. Ferrari honcho Luca di Montezemolo has said that the 2014 regulations have made them interested in sports car racing again. However, these regulations expire in 2016, and it seems doubtful that they'd develop a car just to have it be immediately obsolete, unless their development is much further along than we already thought. This isn't the first time that we've heard that Ferrari was coming back to Le Mans. Just a year ago we heard the same thing, yet nothing came of it. Fingers crossed that this time it's more than just a rumor. Guess we'll find out this weekend. If they do return, how do you think Audi will welcome them?